The Greco-Roman empire, like our modern world, had a standard form of writing. Letters usually began with an introduction or prologue, which may also contain salutations, thanksgiving or prayer. The purpose was to extend a courtesy of love and fraternity with the recipients. John’s epistolary greeting is more than a courtesy, but a deep theological treatise. Below is a commentary. 1:4 Epistolary greetings—Paul’s usual greetings in the epistles: “Grace to you and peace from God our Father, and the Lord Jesus Christ.” Except in the books of Timothy and Titus where “mercy” is added. 2 John 1: 3 adds “mercy.” John attributes God as “which is, and which was, and which is to come” (REF. : 4: 8). The Holy Spirit is identified in the book of Revelation as the seven Spirits before his throne (4: 5). 1:5 From Jesus Christ—The faithful witness (22: 20), firstborn from the dead (1: 18), and the ruler of the kings of the Earth (19: 12, 16). In His own blood—Jesus’ death was a ceremonial cleansing of sin. John reminds his audience of the cleansing power of the blood. We do not cleanse ourselves, Jesus did for us out of His own love. Other manuscripts have “freed us” as in bonds (See Jamieson Commentary). Verse 4 and 5 brings to view the triune God—God, Jesus Christ, and the Holy Spirit. 1:6 Kings and priests—John takes some of the things he heard as part of his greetings to the seven churches (5: 10). Other translations may read “kingdom” instead of “kings.” It doesn’t miss the meaning of a royal estate. The statement also brings to view Exodus 19: 6. To serve His God and Father—A reference to “servants” in 1:1; also in 14: 1-5. Kings and priests to serve, but not to rule in the worldly sense (Mathew 20: 25). Glory and power—Both God and Christ are rendered this doxology (5: 12, 13). Here John is referring to God as in other places (7: 12 REF: 1 Ch 29: 11). Amen—The first of the ten Amens in the book of Revelation. 1:7 He comes with the clouds—In the book of Revelation, both God and Jesus are coming (see 1: 4). In this context, we know it’s Christ because of the phrase “those who pierced him.” The ascension of Christ on clouds (Acts 1: 9) prefigured the parousia (1: 7; 14: 14). “In the same manner” (Acts 1: 11); the clouds that took Jesus away will bring Him down again. John paraphrases Jesus’ statement in Mathew 24: 30. Read also Daniel 7: 13. Every eye will see him—Jesus’ coming will not be secret or private. It will be visible. Even those who pierced him—The statement is carved from Zech 12:10. 1:8 Alpha and the Omega—This statement recalls to mind the Greek alphabets. Alpha, like our “A” in the English alphabet, begins the Greek alphabets, and Omega, like the “Z” in the English alphabet, ends the Greek alphabets. Deeper than this illustration is the immediate pronouncement, “who is, and who was, and who is to come, the Almighty.” The infinite past, present, and future essence of God is emphasized here. Who is to come—The meaning of this statement should be understood within the context of the book. From both Jewish literature and the book of Revelation, God will come to execute judgment (Ps 50: 1-3; Mal. 4: 1-3). God is depicted as the one who is coming on the throne (6: 16; 20: 11), followed by the statement “great day of his wrath” (6: 17; Compare with Zep 1: 14, 18; 2:2; Jo 2:31; Mal 4: 5; Matt 10: 15; 2 Pet 3: 10; Rev 14: 19; 19: 15). These parallel “the great day of God Almighty [underlined]” (16: 14). 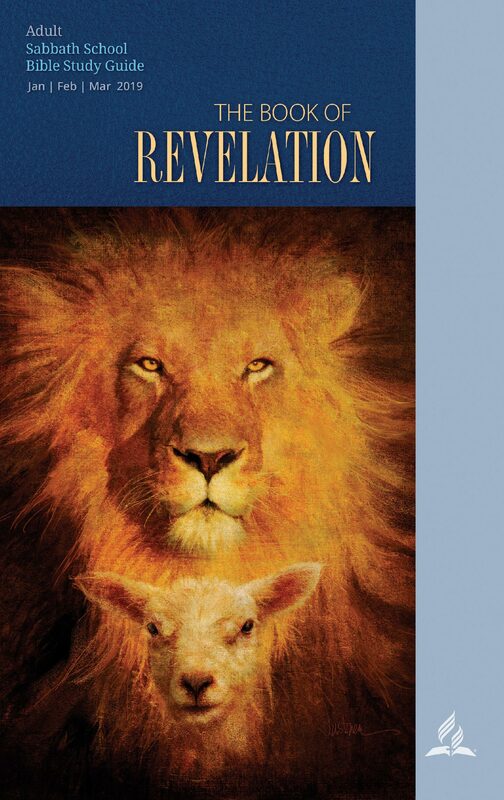 Failure to see this may undermine the theology of chapters 21 and 22 of the book of Revelation.